wow nice dish love to have some with sambar! Wow, so appetizing julie. We love mezhukuperattis and they go very well with moru kari / pulissery and sometimes with rasam. But we prepare without onion / garlic. This version sounds different and aromatic. let me try your version once navratri festival is over. love it always.. Nice one dear.. I can have this stir fried raw banana shappily with some rasam rice. 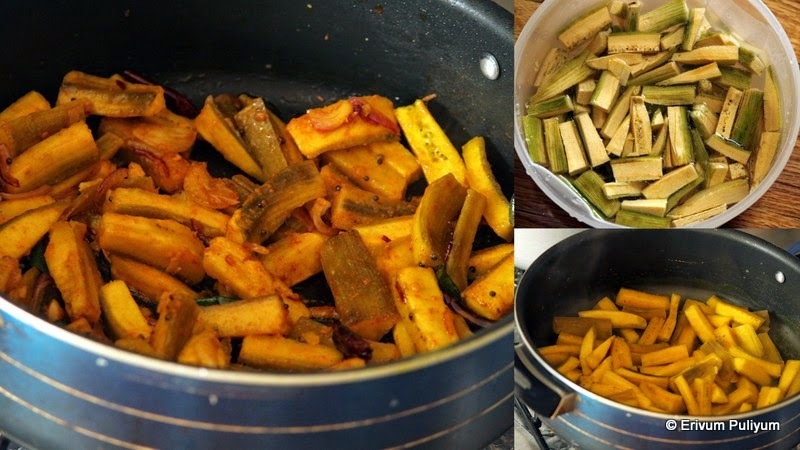 love this plantain stir fry with sambar rice for a satisfying meal :) perfect stir fried plantains, inviting pics there!